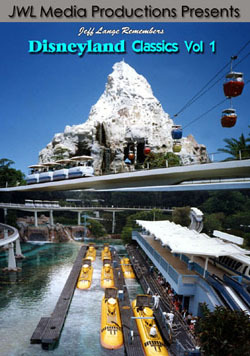 variety of Disney topics, and so much more Disney magic! answer questions to give away prizes and more. including the following as a free bonus while supplies last. Party. It makes an ideal holder for the new DVD. 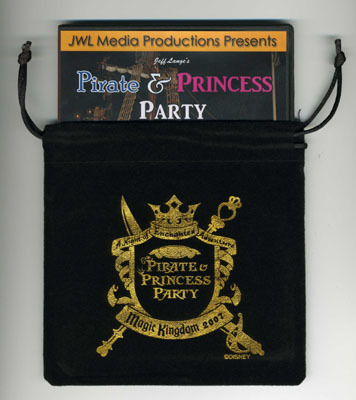 Jeff Lange's Pirate & Princess Party DVD Released Today. Jeff Lange’s Pirate & Princess Party DVD released today. 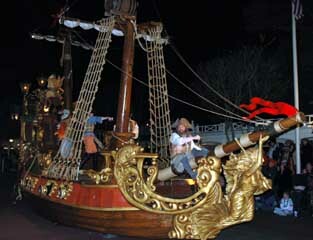 Windsor, Conn. (February 26th, 2007) -Today, JeffLangeDVD have released their 33nd Theme Park title, ‘Jeff Lange’s Pirate & Princess Party. 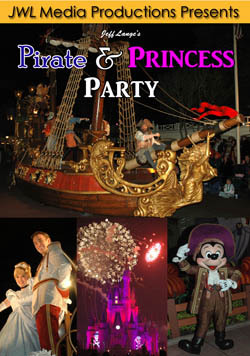 Jeff Lange returns with a new DVD featuring the 2007 Pirate & Princess Party at Walt Disney World. Your evening of adventure begins with a walk down the red carpet where you are sprinkled with magic pixie dust to prepare you for all that awaits! Captain Jack Sparrow’s Pirate Tutorial. 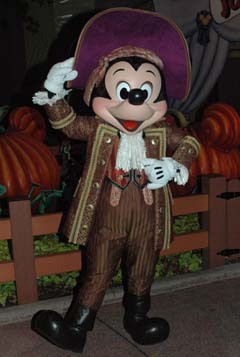 Learn about pursuing life in the pirate trade from Captain Jack Sparrow and his first mate Mack. Princess Jasmine’s Royal Guard Recruitment. Learn to master a magical invisible sword and become a member of the Royal Guard with help from Prince Aladdin. Remember to beware of the evil Jafar. 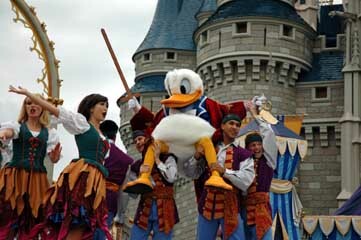 This special parade, shown only on party nights, features all your favorite Pirates & Princesses. 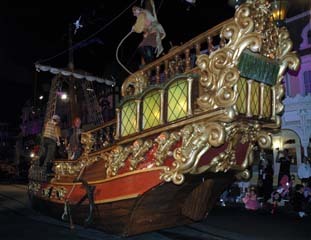 A spectacular pirate ship float overflowing with swashbuckling pirates makes it’s debut. 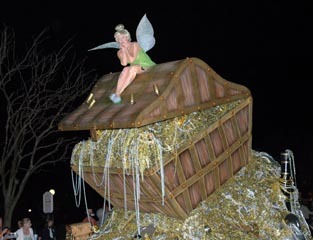 Also new is a float featuring Tinkerbell atop a sparkling treasure chest! 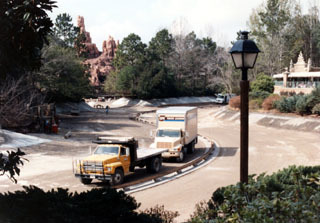 Magic, Music & Mayhem Fireworks Spectacular. 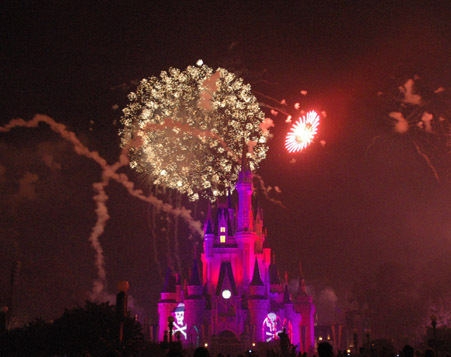 This may be the best fireworks show ever presented at the Magic Kingdom! 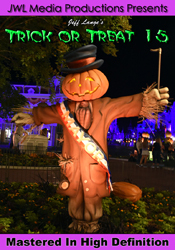 Highlights include the Sleeping Beauty fairies color fight to have a blue or pink castle and the Pirates attempt to take over the castle ending in an all out battle featuring explosions on the castle itself! Pick up a copy of ‘Jeff Lange’s Pirate & Princess Party’ today and relive all the magic or experience it for the first time. 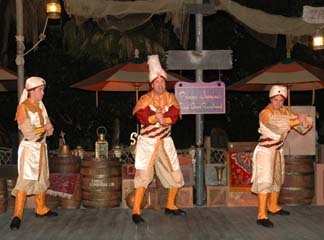 Store Captain Jack Sparrow’s Pirate Tutorial., Disney’s Enchanted Adventures Parade, Magic Kingdom, Magic Music & Mayhem Fireworks Spectacular, Pirate & Princess Party, Princess Jasmine’s Royal Guard Recruitment. 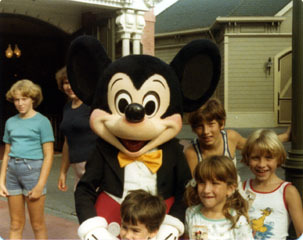 Photo Memories #5 Back from Walt Disney World! promotion this year, it was a excellent race and a great time! 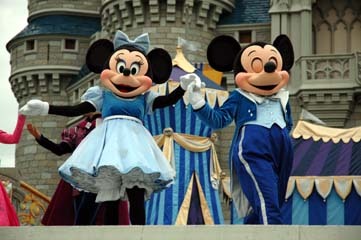 the party is the all new ‘Magic, Music & Mayhem Fireworks Spectacular’. 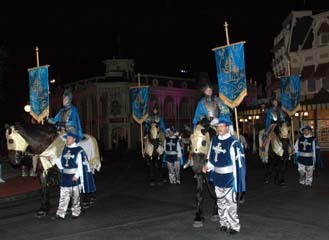 shows, parade, fireworks and more! the Pirate & Princess Party. 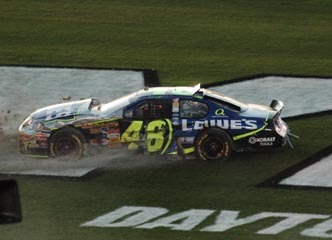 field heading to the checkered flag on the final lap! 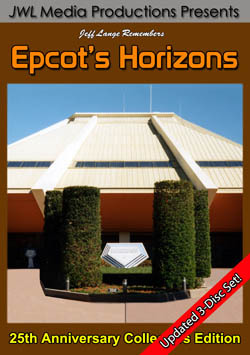 Jeff Lange Remembers Disneyland Classics Vol 2 to be Released February 19th, 2007. To purchase this new JeffLangeDVD title, click This LINK . 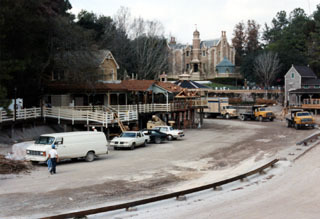 Windsor, Conn. (February 9th, 2007) -JeffLangeDVD to release their 32nd Theme Park title, ‘Jeff Lange Remembers Disneyland Classics Vol 2’ on February 19th, 2007. 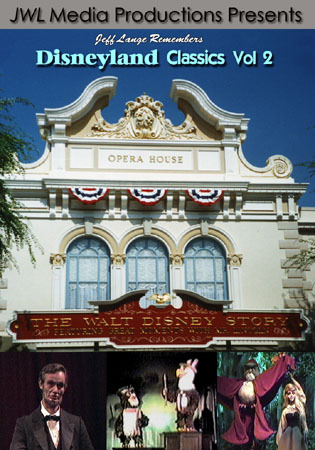 Step into the Main Street Opera House for this patriotic tribute to the life of the 16th American President, Abraham Lincoln. 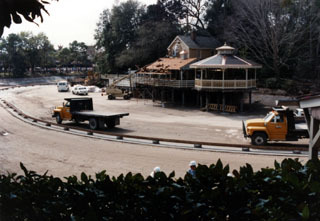 The pre & post show displays are also featured in this segment. 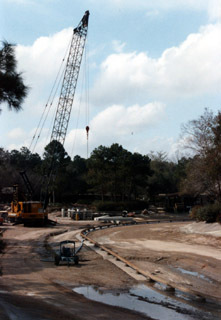 Tour the Rivers of America as you sail on this reproduction of the first U.S. ship to circumnavigate the globe. 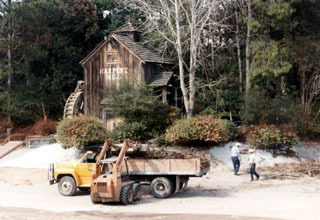 See the burning settler’s cabin, Mike Fink Keel Boats and Cascade Peak Falls, all now removed from the river. 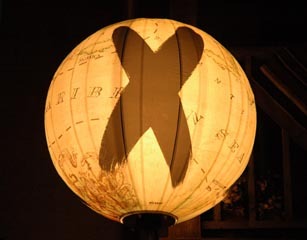 A nostalgic salute to American music. Sam the Eagle is your guide as the theater rotates around separate stages featuring four big musical acts. The story of Sleeping Beauty is told thru storybooks and charming miniature displays along a walkway inside Disneyland’s castle. 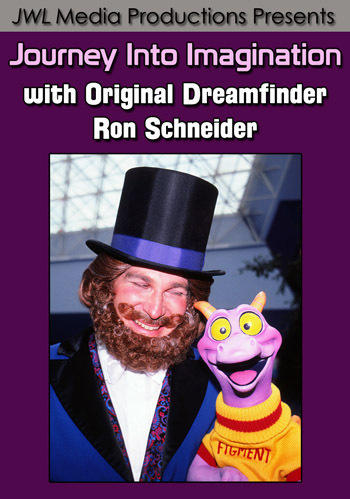 Jeff Lange Remembers Disneyland Classics Vol 2 will ship on or before Monday February 19th, 2007. For more details on purchasing this title, click HERE.